In the existing field are listed articles of HAPSc executives which have circulated in the press. 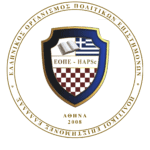 In the following publications, Hellenic Association of Political Scientists refers to the originators. Fouskas, Th. & Lamprianidou, I. (2015) «Migration Policy», I Kathimerini, November 21, Issue: 29.102, page 10.